Welcome to this month’s Blogorail Green Loop. Today we are taking you on a virtual tour of Epcot’s World Showcase! But what else has gone on at this pavilion? What do we make of the rumors that Norway is “so mad about the Frozen invasion”, or the opposite tales that circulate saying the country dropped the ball when it could have changed the outcome? Today as well as in its original form, the pavilion was designed to look like a Norwegian village. Four different styles of Norwegian architecture were represented, but the imagineers did an excellent job of making the village look cohesive and welcoming. The Stave church at the front of the pavilion was representative of the medieval wooden church buildings common in that part of Europe, most of which remain in Norway today; the table-service offering Restaurant Akershus looked very much like a castle of the same name in Oslo. Kringla Bakeri Og Cafe served traditional Norwegian delicacies such as pastries and salmon. A number of shops offered troll souvenirs (not this kind! ), fragrances and lotions from Norway, and the cutest sweater I would never, ever consider buying thanks to its $695.00 price tag. (I’m sure it’s useful in the cold winters in Scandinavia, but it’s a little over the top here – even in yucky Ohio winters.) 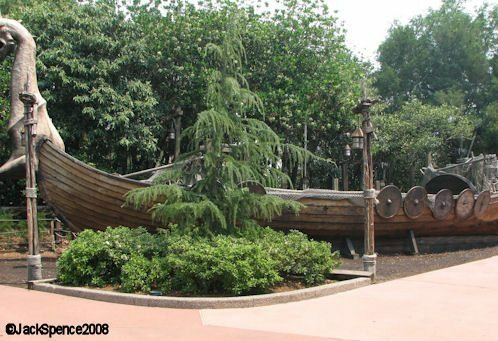 Finally, there was a replica Viking ship that doubled as a children’s play area (which would remain there until 2008). 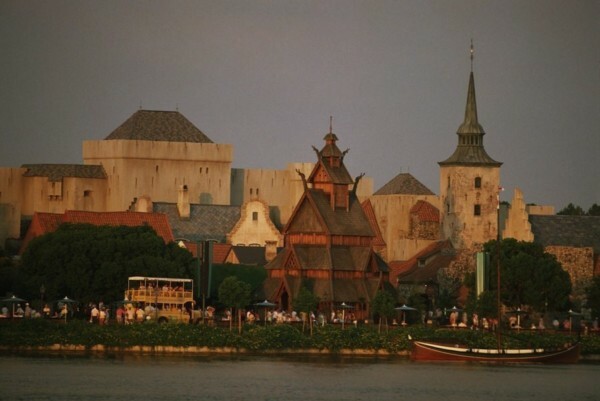 The Norway pavilion was the final full-size pavilion to be add to the World Showcase. At it’s opening, Prince Harald V provided a dedication that was also broadcast live to major television stations in Norway. Princess Sonja and the Norwegian Royal Guard were in attendance. Red, white, and blue balloons, representing Norway’s flag, were released after the dedication speech and before a fireworks display. Investors in Norway had raised $30 million to fund the pavilion, to which Disney added an additional 2/3 of the total cost. This put the Norwegian people in a position to have much say over the pavilion. When the pavilion opened though, the Maelstrom ride wasn’t yet ready. In original plans, the ride was to take a more mythological path. The Sherman Brothers worked on a song for the fanciful journey, but were taken off the project when the investors wanted to focus more on reality and boosting tourism than on trolls and gnomes. 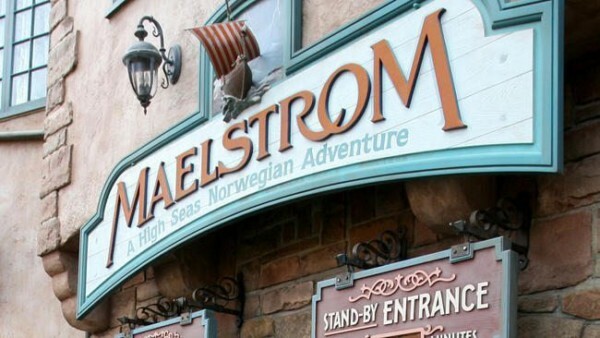 Maelstrom became a viking ship ride through the industries, sites, and experiences of Norway. It opened in July 1988, but not without a few issues. Guests got soaked without warning, and some riders were even thrown from the boats! Ultimately, the ride was a moderate success from a crowd standpoint, and a huge success bringing new technology to the parks. It was the first ride to travel backwards, and the first to use black light reactive Audio Animatronics. The goal to boost tourism was also a great success. In the first year the pavilion was open, Disney reports that there were on average 150 guests requesting more information on travel to Norway. On the receiving end, Norway reports an increase of anywhere from 500-700% during the first 1-2 years of the pavilion’s operation. In 1992 the private investors sold their shares to Disney, who now owned the pavilion in its entirety. A relationship with Norway continued for several years though, with the government providing $200,000 annually to help fund the exhibit. In turn, they continued to see a noteworthy boost in tourism. After 10 years with this partnership arrangement, Norway stopped these payments in 2002. Changes were made to the pavilion over time, such as adding princess to Akershus (now the Akershus Royal Banquet Hall). At one point representatives from Norway offered Disney an updated film to replace the sorely dated one at the end of the attraction, but Disney did not think the quality was sufficient. When asked to provide money for Disney to make a new film, Norway declined. 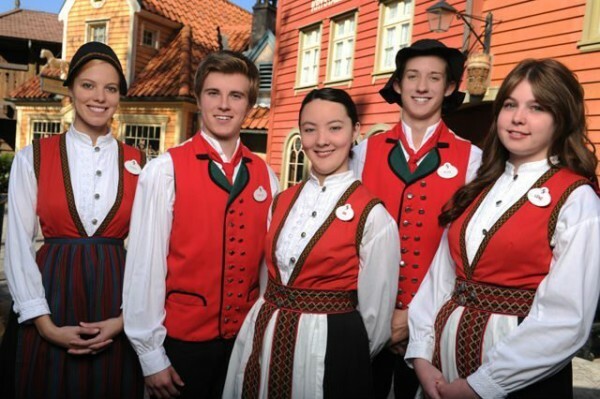 Even after the dissolution of a formal relationship between Disney and the Norwegian government, the pavilion is still staffed by more than 100 cast members who take contracts one year at a time to move from Norway and work. One of my favorite things about World Showcase is the authenticity added by so many cast members working each pavilion representing their home countries. During Epcot’s Illuminations: Reflections of Earth, the Stave church and the Norway pavilion are one of only two pavilions which do not light up during the finale. There are many “reasons” that swirl around the internet as to why this is the case; it turns out that Morocco doesn’t light up because Islamic law forbids decoration of mosques (of which one of the buildings is a replica), but the exclusion of lights on the Norway pavilion is simply a matter of symmetry and visual appeal. Obviously the pavilion stayed open without any input or payment from Norway, with Disney now entirely in control of operations. For quite some time it was used as a base for the Phineas & Ferb World Showcase Adventure, and the Kim Possible activity before it. In 2014, after the wild and continued success of Frozen, Disney announced that Maelstrom would be closing. In its place would be a similarly structured experience, “Frozen Ever After”, rethemed with Frozen storylines, scenes, and characters. 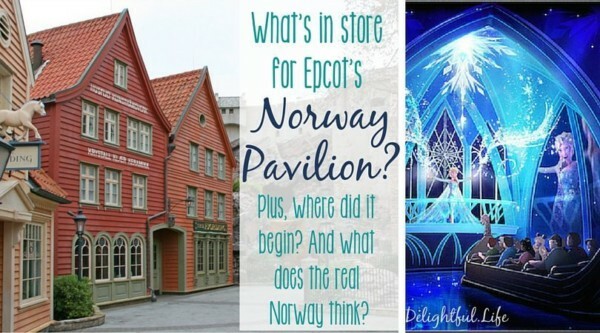 Reportedly, Disney offered Norwegian officials the opportunity to partner again in advance of this announcement, to provide the financial backing once again and have input on updating the pavilion as they preferred. Ultimately, they decided it wasn’t worth the investment. Details that have been released regarding the ride suggests it will “take guests back to the movie, without retelling the same story”. First, guests will visit the Winter in Summer Festival where residents of Arendelle celebrate their favorite season. 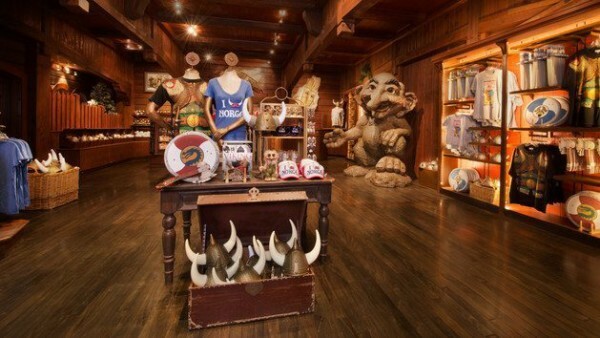 The queue will be themed to include Wandering Oaken’s Trading Post, with guests getting a peak at his shop, hearing his famous, “Yoo hoo!”, and even helping him clear steam from the sauna and his windows. We’ll visit with Olaf and Sven, Grand Pabbie, and more of our friends from the franchise. Kathy Magnum, imagineering creative executive on the ride, says the next “room” is the centerpiece of the whole ride. Giant doors open to reveal Elsa on her balcony singing “Let it Go”, while snow flurries fly around guests and fill the room. The ride finish with Marshmallow, the Snowgees, and a fireworks finale. 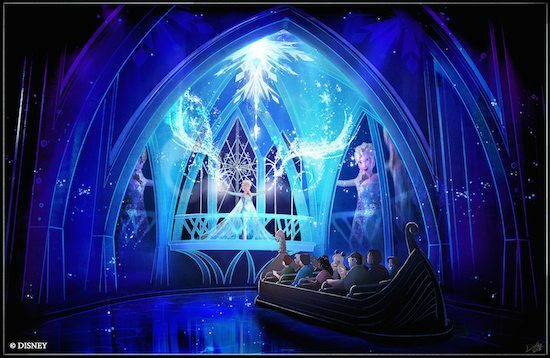 In addition to the updated ride, an elaborate meet and greet area called “The Royal Sommerhus” is being constructed where guests can visit Anna and Elsa at their Summer home in Arendelle. The building that houses the meet and greet is modeled after a real, historic log cabin in the Norway countryside. “Frozen Ever After” is set to be complete before this summer, with openings rumored as early as May 1, 2016. Is there anything to see there until “Frozen Ever After” opens? Inside the Stave Church is currently a gallery and display showing the history, culture, and folklore of Norway, sharing with guests how the filmmakers of Frozen were inspired by trips to Scandinavia and by their research about its history and present day. Akershus still hosts Princess Storybook Dining for breakfast, lunch, and dinner. 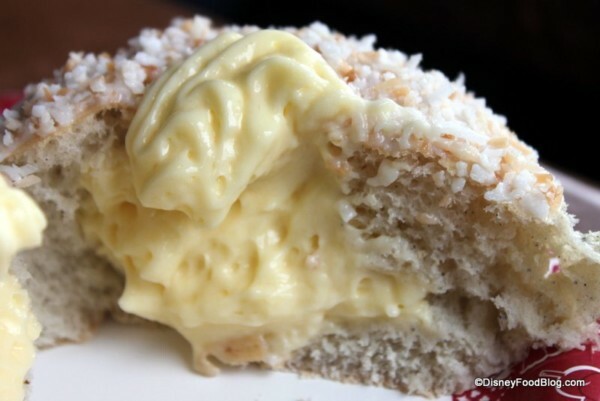 Kringla continues to serve quick Norwegian fare, where fan favorites include Kringles (specialty pretzels), Lefses (potato pancakes with cinnamon and sugar), and “School Bread”. The Puffin’s Roost – a series of interconnected stores – remains a popular destination for World Showcase shopping. These days you can find books about Scandinavian culture, as well as Hans Christian Anderson tales. You’ll also have your choice of chocolates, sterling silver jewelry, Geir and Laila scents and lotions, knives, clothing, and more. What is YOUR favorite part of the Norway Pavilion so far? I’m a sucker for the Laila hand lotion, and have a bottle or two at home! 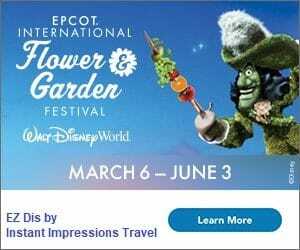 5th Stop – Dad for Disney | O Canada! I’ve always had a soft spot in my heart for Norway, and that will likely continue. 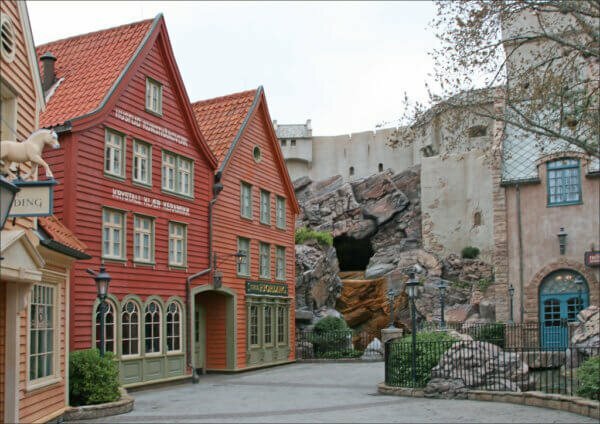 To me, Akershus is one of the best restaurants in all of Disney, and while I will miss Maelstrom, I agree that it wasn’t the same, especially since it was always a little sad that 9 times out of 10 the movie wasn’t playing when the ride concluded. I’m not sold on the Frozen ride that is replacing it, but I wasn’t sold on the whole Fantasyland expansion either, and I have changed my tune on that score. Great post, thanks for writing about Norway! I’m with Mike! We’ve done breakfast at Akershus several times and it became a favorite of my children – even my son! I liked Maelstrom, but never threw a fit over the announcement that it was closing. I have come to expect great things from Disney and, while change is hard, I know they always come up with bigger and better things! I probably wouldn’t have themed this land after a movie – as that hasn’t been done before in World Showcase – but I do think the changes will be fun. On one hand I agree, but I’m curious HOW themed “to the movie” it will be. Of course all the announcements, plans, etc have focused on Frozen – but it very well may be more subtle. I will definitely say that El Rio de Tiempo was one of my favorite rides (I have a soft spot for part of Mexico that was involved) but I was blown away with how great they made it with the 3 Caballeros. People freaked out then too (and I do agree Frozen in Norway will probably be substantially more noticeable than that), but I think anyone who knew about the films (3 Caballeros and Saludos Amigos) and their backstory appreciates the update. Mostly, as you’ve said, I trust that they’ll do things well! Rosanne @ What's the Point? Great post. We almost always stop in Norway for a pastry. I wasn’t a huge fan of Malestrom (I know, I should just hand in my Disney fan license now) so I’m looking forward to Frozen. I do think there’s enough Norwegian culture in the pavilion to outlast – just as the ride in the Mexico pavilion doesn’t take away from the culture and history. YES! I completely agree. I was just thinking in response to Heidi as well, a similar thought which had never really crossed my mind – how overwhelmingly Frozen-themed will this be? I didn’t mind when I thought it would pretty conspicuous, but I also wonder if they won’t just tuck it in nicely with the rest of what the pavilion has to offer! I totally agree! I don’t dislike Frozen at all, and trust that the imagineers are going to make it even more beautiful! The Norway pavilion is so cute and one of my favorites! 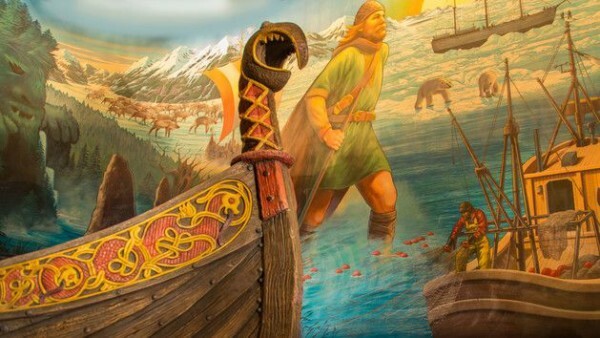 I always enjoyed taking a ride on Maelstrom and searching for the hidden Mickey in the mural. The Viking Ship play area was one of my favorite things there too, though I never played on it. Now that I like coconut, I can’t wait to try School Bread! I have to avoid this pavilion, not because it’s being converted to Frozen, but because it wreaks havoc on my pocketbook! For anyone who lives where it gets cold in the winter, I cannot recommend the Dale of Norway sweaters enough. Yes, they are pricey, but they are warm and will last forever. I still wear my first one that was purchased about 20 years ago. Plus, they are absolutely beautiful. It’s worth the visit just for those. I really love the Norway Pavilion. I’ve always loved the architecture. And the bakery. 🙂 I also might be the only one but I’m looking forward to the Frozen ride. Maelstrom wasn’t wheelchair friendly but it looks like the new one will be. Plus my nieces are Frozen crazy. This is such a breath of fresh air after reading so many strong opinions about Norway lately! 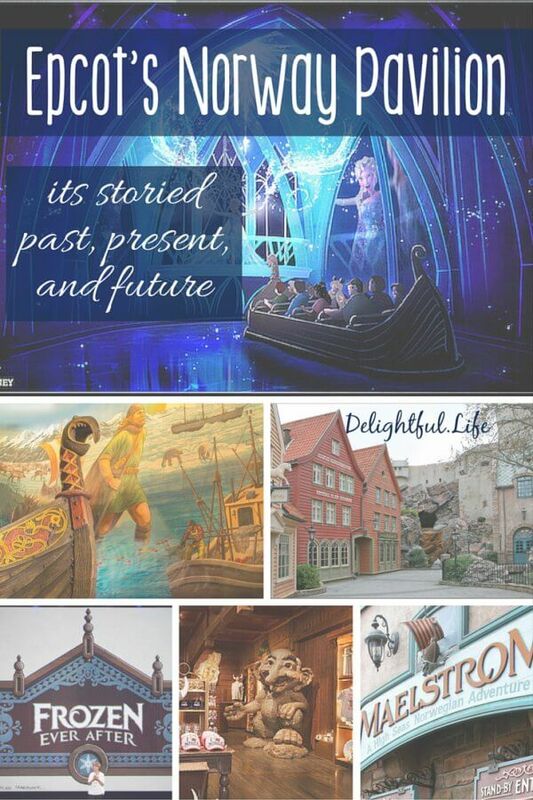 Personally, I truly did love riding Malestrom and will miss it very much – but your point about the pavilion at one point potentially being sponsored by Lego does make me feel a little bit better about it becoming Arendelle. I love the perfume they sell in the gift shop and have often thought about buying some to bring home for when I need a little extra Disney magic! Good answer 🙂 I didn’t realize how much I enjoyed the perfumes, lotions, etc until the shop was temporarily gone/downsized while Anna and Elsa met nearby. I’m glad it’s back and has stuck around! Great post! I can’t imagine guests being thrown from Maelstrom in the early days! That’s crazy! On one of my student trips my kids and I did a workshop inside the pavilion, as there are rooms above the show building for dignatries. There were some really neat artifacts up there. Wonder if they are still there, or if the expansion of the building for prepping Frozen Ever After got to them…. Wow, that’s so cool! I never came across that anywhere, but now I’m totally intrigued.